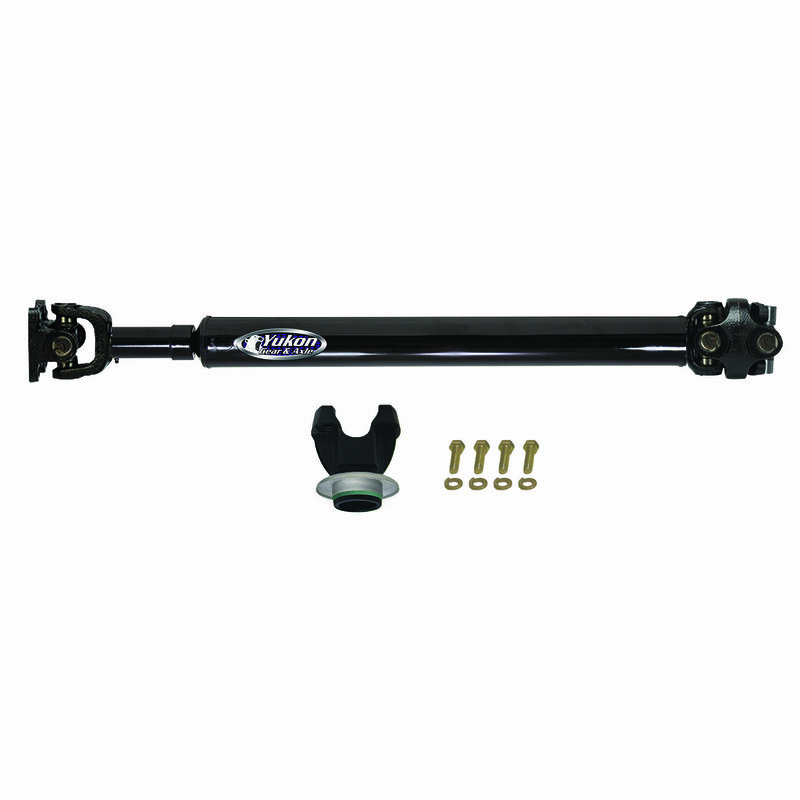 Yukon Gear & Axle OE-Style Driveshafts deliver superior performance over stock Jeep CV style shafts. For Jeep Wranglers with up to a 2 ½” lift, they supply enough slip travel for off-road articulation, and are constructed from high-strength steel and Spicer 1310 u-joints. Complete assemblies include a conversion yoke for the transfer case end, and are covered by a lifetime warranty (excluding u-joints). 1310 U-Joint Size Is Suitable for Jeeps Running A Maximum Tire Size of 33"